1. Heat oil for coconut paste. 2. Fry the grated coconut till brown. 3. Keep aside to cool and grind to a fine paste with 2/3 cup of water. 4. Heat 1 tblsp oil in a pan. 5. Fry the onions till translucent. 6. Add the tomatoes, ginger-garlic paste and cook for a minute. 7. 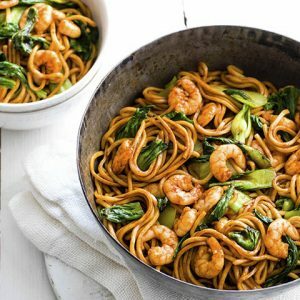 Add prawns and cashew nuts. 8. Fry for 3 to 5 minutes. 9. Reduce heat and add the masala powders. 10. Fry for 45 seconds. 11. Add salt and 1/3 cup of water. 12. Cook over low heat for 4 to 5 minutes. 13. Add green chillies, vinegar and coconut paste. 14. Cook till the gravy thickens. 15. Serve hot as a side dish. 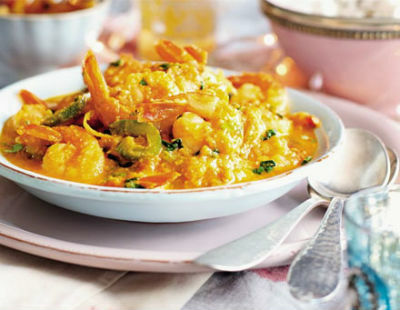 Feel free to comment or share your thoughts on this Prawn Curry with Cashew Nuts Recipe from Awesome Cuisine.